cropped-экрана-2018-09-08-в-1.10.31-1.png — CZECH ENERGO ENGINEERING COMPANY s.r.o. 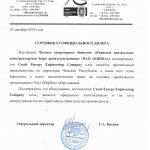 CZECH ENERGO ENGINEERING COMPANY s.r.o. © 2007 — 2019 CZECH ENERGO ENGINEERING COMPANY s.r.o. All rights reserved. Copying materials without a backlink to the site is prohibited!